The above info came from Akemi Sakumo, and was edited by yours truly (contact me). The image came from Free.fr. Before Crocodile became one of the seven War Lords of the Seas (Shichibukai) his bounty was 81,000,000 berries (beli). He started a criminal organization called Baroque Works with the Billions, Millions, and Number Agents. He planned to take over Alabasta and get the ultimate weapon buried in its country, Pluton. He used one of his number agents, Mr. 2 with the power to clone people, to clone the King and say that everything cruel he did, the King did. 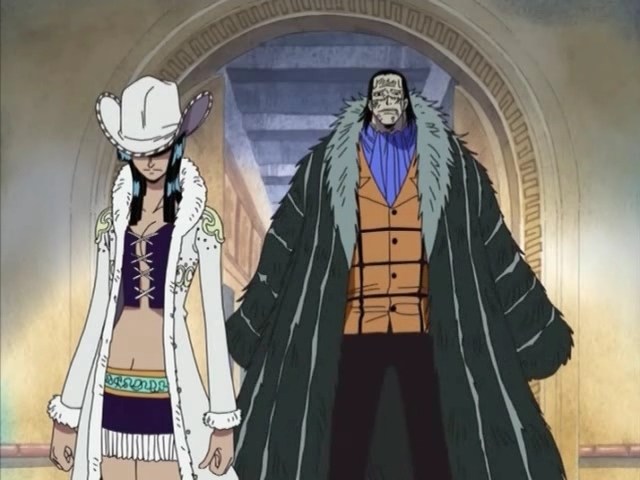 Crocodile had to get the name Mr. 0 due to the Baroque Works Code Name Policy and so only Ms. All Sunday (Nico Robin, Ms. Sunday), Igarum (Igarubpoi, Mr. 8, Egarum), and Vivi (Ms. Wednesday, Princess Nefertari Vivi) knew his true identity. Crocodile is a man who doesn't trust anyone, save anyone, or befriend anyone, not even the members of his organization. Crocodile is quick to punish anyone who fails to do their duties. Crocodile has mastered his Devil Fruit ability, the Sand Sand Fruit (Suna Suna Fruit). He can turn any parts of his body into sand against anything. Although he has perfected his ability, he has a weakness, just like all Devil Fruit users. If his skin or clothes is touched by any liquid, he cannot become sand, but he can absorb any liquid with his right hand. Crocodile was defeated by Luffy, who used his own blood to defeat Crocodile. 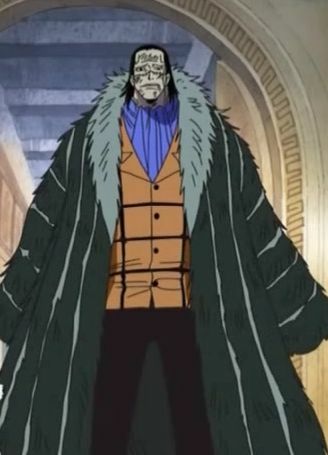 Crocodile, as punishment for doing Baroque Works and trying to take over Alabasta, was stripped of his Shichibukai status and his bounty reinstated. Now, he is imprisoned by the world government. The above description came from Akemi Sakumo, and was edited by yours truly (contact me).